Description: Adults are orange yellow with six black dashes above the margin of the vertex and an interrupted line beneath. 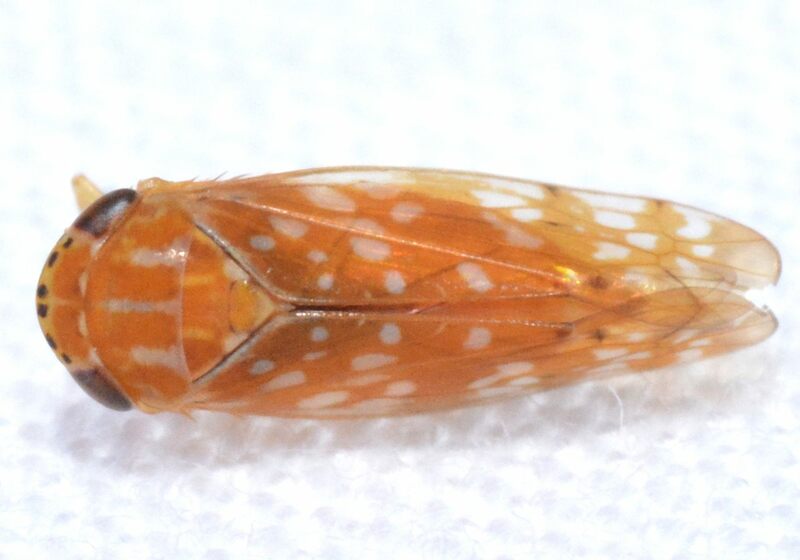 The posterior margin of the vertex, three stripes on the pronotum, two spots on the scutellum and numerous oval spots on the wings are white. The female pregenital sternite is rounded on lateral angles; the posterior margin is slightly emarginate, with a pair of short teeth in the middle that have divergent apexes. The male plates are tapered to blunt rounded apexes, appearing triangular together. 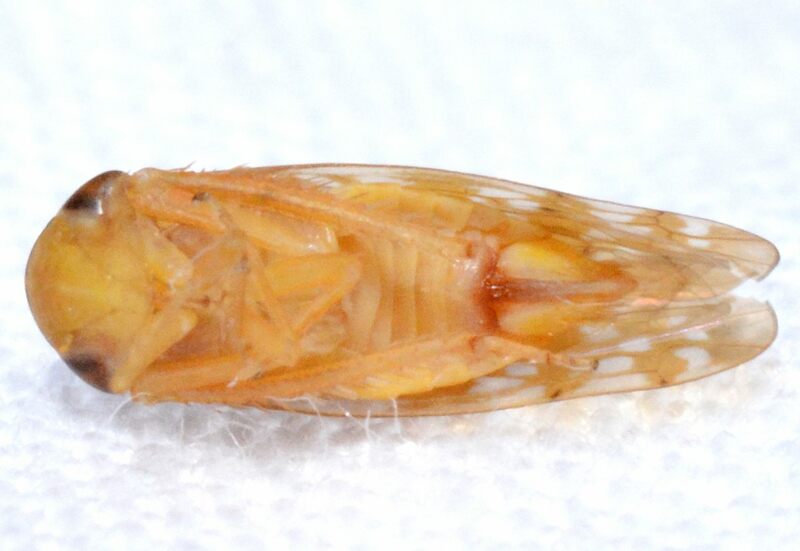 Adults are 4.5-5.0 mm long. (DeLong 1948) For diagrams of the genitalia of this species, see: Dmitriev. Abundance: Recorded from a couple counties in the Piedmont; probably more abundant in the right habitat. 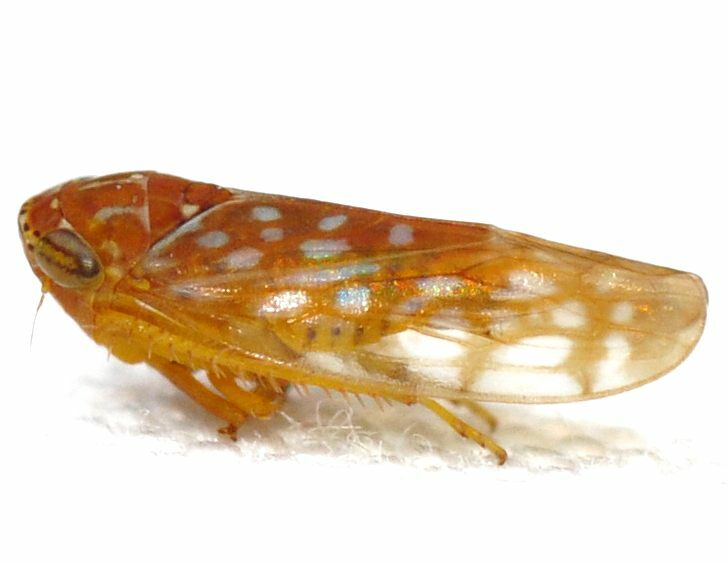 Comment: This species is extremely similar in both general appearance and color pattern to B. johnsoni. 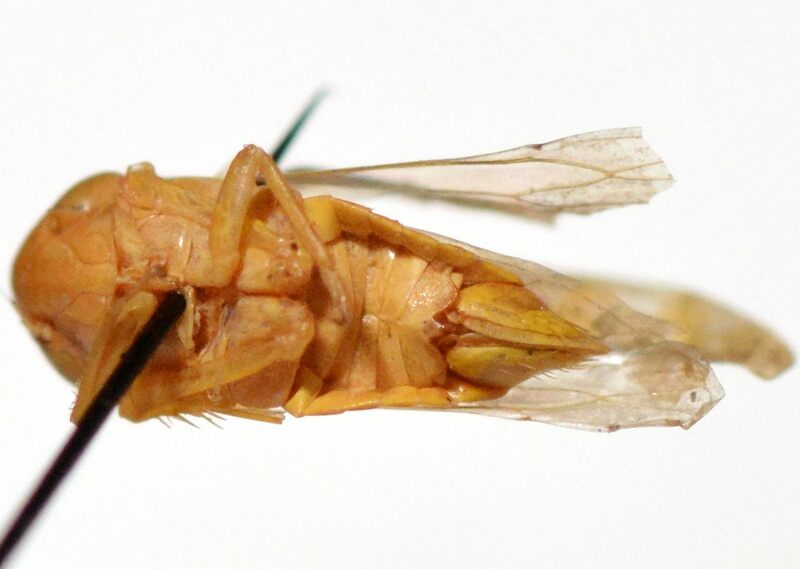 A clear, detailed view of the underside is needed to distinguish between species in this genus.